Your escape to Golfing Paradise or just Relaxation, your can have it all here. A cozy studio to relax, play golf, enjoy, centrally located and pets* welcome. 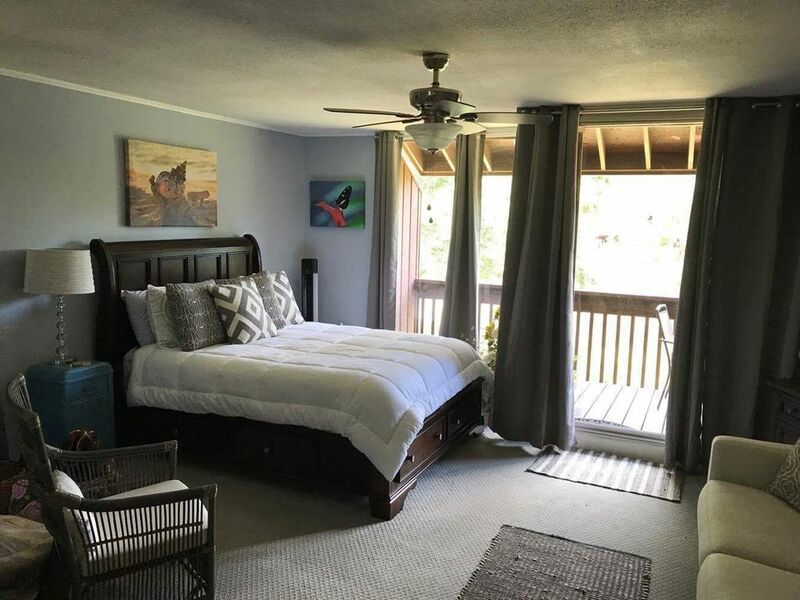 Gorgeous modern fully furnished upstairs studio with 1 queen size bed located in Diamondhead, MS located next door to Diamondhead Country Club. With your stay at the studio you will enjoy the views of the lake, have access to any of the 6 swimming pools, playing golf at either of the 2 golf courses, playing tennis, renting a golf cart, or just taking a walk on the nearby track. Your stay at the studio can be an over night stay, a week stay, a weekend getaway, or to enjoy peace and quite from all the hustle of the city. The studio is even perfect for those traveling for work. Small pets are welcomed with prior approval. Diamondhead is located right off interstate I-10 making it easy to get to the beaches, shopping, casinos, and restaurants. It is located halfway between Biloxi, MS and New Orleans, LA and minutes to Bay Saint Louis, MS and the Gulf Coast. This studio will accommodate whether you are visiting on business, pleasure or both. The studio is stocked with soft clean towels and sheets, a blow dryer, iron and ironing board, cookware, appliances, plates, utensils, candles, cups, glasses and wine glasses, microwave, coffee pot & supplies, and so much more. All you will need is your guest and some clothes. A coin operated washer and dryer is located right outside the unit on the first floor if you are staying more than a week. and endless golfing awaits you. My name is Sandy Walsh, I am from GA, after visiting and falling in love with the area in March of 2017 my husband and I decided to buy a house and move here. I began selling real estate to meet people and learn the area. I enjoy traveling, meeting people and hosting. I hope you enjoy your stay here as much as I love living here. I just recently purchased the corner studio so family and friends would have a place to stay while visiting. When the studio is empty I figured why not rent it out for others to enjoy. So here we are! I fell in love with this unit because it is so close to Diamondhead Country Club, the view of the lake, and all the amenities of the club within walking distance. The studio has a very nice cozy appeal and it beats staying in a hotel/motel while traveling. Big garden tub with shower! Soft towels, blow dryer, shampoo and standard size toilet. 12 cup coffee maker, filters, coffee, cream, sugar and Splenda provided. All the dishes and utensils you will need! Dining table can also double as a work station for your laptop. Right Nextdoor to Golf Club. Walking distance. Conveniently located between New Orleans and Biloxi off of I-10. If you love to play Golf, enjoy peace and quit and just looking for a nice getaway this is it.